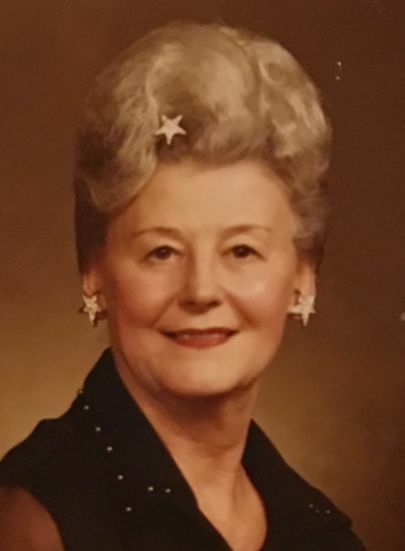 Margaret "Margie" Furdeck, 98, of Benld, IL, died at Heritage Health of Litchfield, IL on Tuesday, February 5, 2019 at 7:48 pm. She was born June 11, 1920, in Benld, IL to Steve Stick & Barbara (Novotnak). She did clerical work for the State of Illinois. Margaret loved dancing especially Polka. She was a caregiver to her parents. She enjoyed cats especially Tou Tou and Tige. Margaret also liked socializing with family and friends. She is survived by her nieces and nephews, James Mattioda (companion, Allison) of Del Mar, CA, Donna (Bruce) Throne of Litchfield, IL, Sherry (David) Montgomery of Springfield, IL, Patty (Jim) Halsne of Santa Anna, CA, Robert Stik (companion, Tony Cerneglia) of Collinsville, IL, Carol Owens of Irving, IL and great nieces and nephews. Margaret was preceded in death by her parents, siblings, Ann Witkowski, Barbara Grandone, Pauline Mattioda and , John Stik. Graveside services will be Saturday, February 16, 2019 at 2pm at Benld Cemetery. Anyone wishing to send an online condolence may do so at www.kravanyafuneral.com. Kravanya Funeral Home is in charge of the arrangements.